More Than Tuition: What is Cost of Attendance? With college tuition rising faster than inflation every year and student debt exceeding $1.2 trillion, it is no surprise that students and families are feeling intense anxiety when it comes to paying for college. Indeed, according to a recent survey commissioned by New America, a majority of prospective and recently-enrolled college students believe that the cost of college is the most important factor when deciding which college to attend. This level of anxiety has even affected the U.S. Presidential campaign, with the two Democratic contenders running on platforms that include some version of debt-free or free college for either some or all students. But tuition is only a part--and for some, a very small part--of college costs. 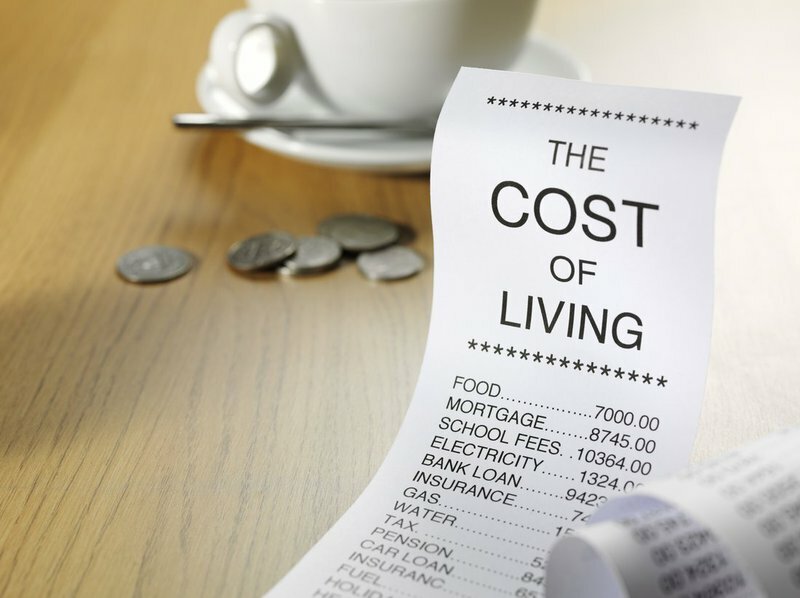 While the increases in tuition and fees are certainly at the forefront for prospective students and families, what often gets lost in the conversation are the everyday expenses such a food and housing that increase the price of a college education. These fluctuating and unpredictable expenses must also be factored into each student’s budget for an academic year. The federal government recognizes that many students need financial support to help cover expenses beyond tuition and fees in order to be academically successful. For this reason financial aid dollars can be used to help cover the student’s entire academic-year budget--known officially as the student’s “Cost of Attendance” (COA). For most students, COA includes tuition and fees, an allowance for books, supplies, transportation and miscellaneous education-related expenses, and an allowance for room and board. ((COA also varies based on enrollment intensity (i.e. full versus part-time), if the student has any dependents (COA can include an allowance for dependent care), if the student is studying abroad and incurring unusual expenses that need to be covered, if the student is disabled and needs an allowance for expenses related to his/her disability, if the student is working in a co-op program and needs an allowance associated with employment. COA can also include fees for federal and nonfederal student loans. Think of COA as the cornerstone to awarding financial aid. It is used to determine a student’s financial aid package and ultimately sets an upper limit on how much federal (and oftentimes state and institutional) financial aid a student can receive including federal Pell Grants, campus-based aid, direct subsidized and unsubsidized loans, and PLUS loans. To determine a student’s financial aid package, institutions use COA as a starting budget and subtract a student’s “Expected Family Contribution” or EFC. EFC is calculated using tax and other financial information students and their parents provide on the Free Application for Federal Student Aid (FAFSA)--and it is set in stone by Congress. COA, however, is malleable since it is determined by each college and university. While institutions are required by law to include certain components in calculating COA such as room and board, how they determine the budget for each factor is left completely up to the institution. For many of today’s students who may commute to school, who may live on their own or with family, or who may be caring for dependents themselves, it has become much more difficult for institutions to accurately predict or determine their COA. This complexity has real implications for students: if institutions cannot accurately predict students costs, students may end up potentially borrowing more than they need, or worse, finding themselves unable to cover the basic costs of enrollment, making it more difficult for them to complete their course of study. And although financial aid administrators can use “Professional Judgement” to adjust student budgets in extenuating circumstances, the case-by-case nature of this authority does not solve the issues that many students face. Even though it’s become more complicated to calculate COA as the demographics of students have changed, there needs to be more transparency and predictability surrounding COA to help students and institutions better understand the true cost of a year at college. All of these posts will culminate in an event we will be holding on May 25th at New America to discuss how to improve COA and the challenges facing today’s students in budgeting and paying for college. To register for the event, please click here."